Diana runs a blog and a shop, DianaPantz. 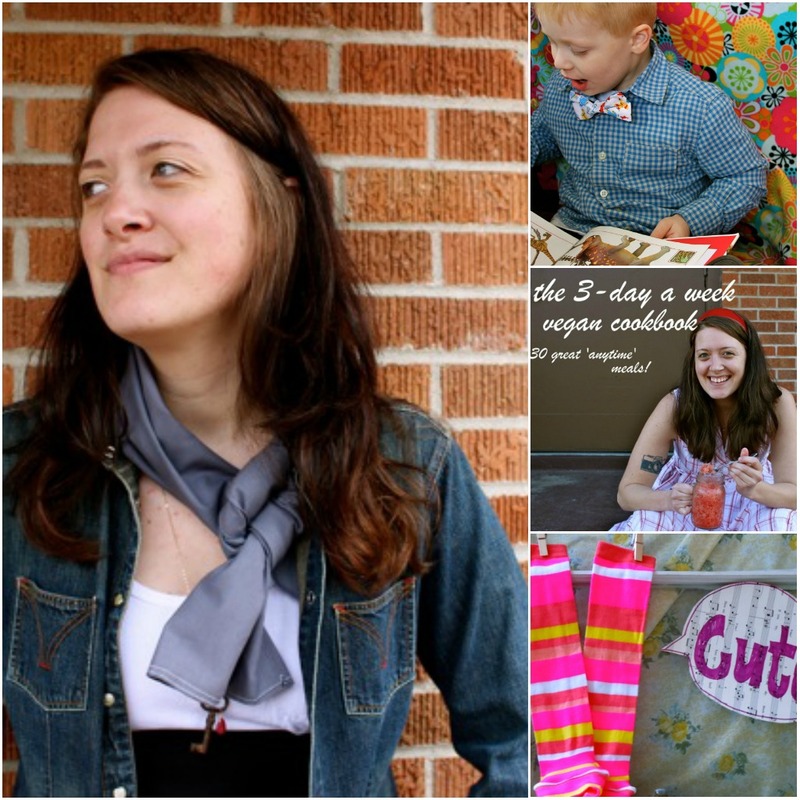 She creates gorgeous fine art prints, fun leg warmers for baby, and adorable bow ties for your little man. Even more recently, she wrote a new e-book that is a 30 recipe cookbook called "The 3-Day a Week Vegan" that's only $14, so make sure you check it out. Here is more from Diana! i run a sustainable accessories shop & a vegan lifestyle blog ; both named dianapantz. i share vegan recipes, fun home projects & small business tips on the blog. in my shop, i sell spring & summer infinity scarves, bow ties for the cute little [and big!] man in your life, leg warmers for babes & hand-knit winter wear. i spend my time eating cupcakes, riding my bike around the lakes & hanging out at the library in minneapolis! thanks for this! a new favourite on etsy!